This last weekend was a busy one, busy but lots of fun. 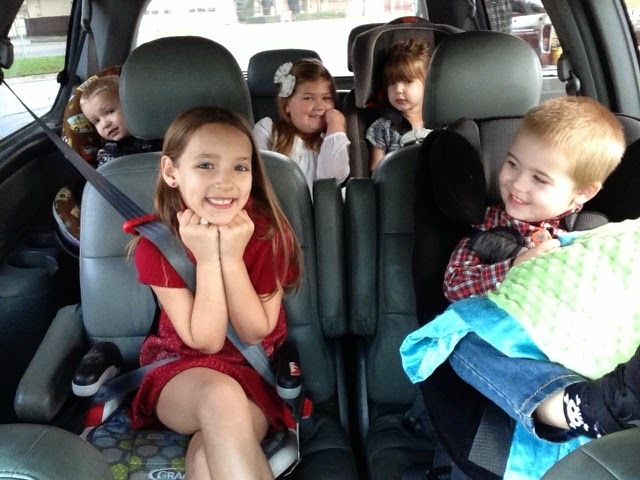 It started early Saturday with a drive to Stockton to have the kids pictures taken with our best friends. We got there in record time, so we had some time to do some of the inside activities before. Santa was there and there was a table set up with crayons so you could write down your Christmas list for the Big Guy. 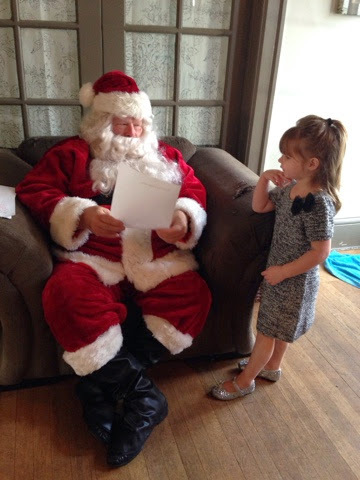 Allyson sat down went to work, signed her name and asked if she could go over and talk with Santa. She stood there talking and laughing, I was so surprised to see my Ally being so outgoing. 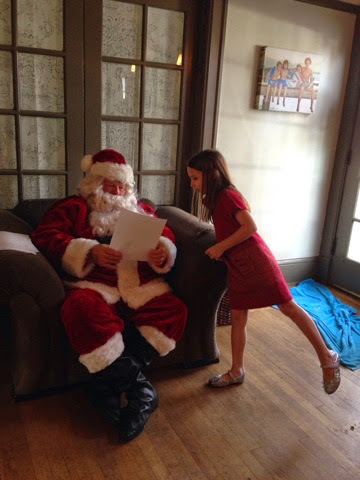 Next up was Aubrey, she wrote her list and also drew pictures just in case he couldn't read it. Here she's making sure he understands what it is she wants. 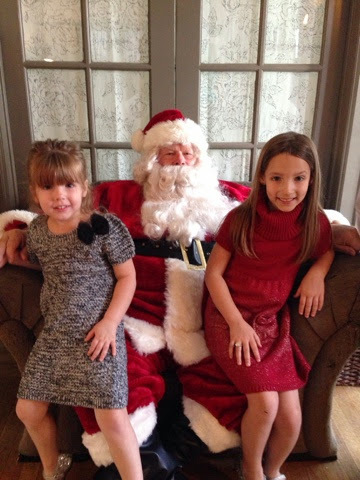 Both girls with Santa. Austin wanted nothing to do with letter writing and was no going to leave my side to even get near Santa. There's always next year! Austin loves hot cocoa, that there is his second cup in 10 minutes. 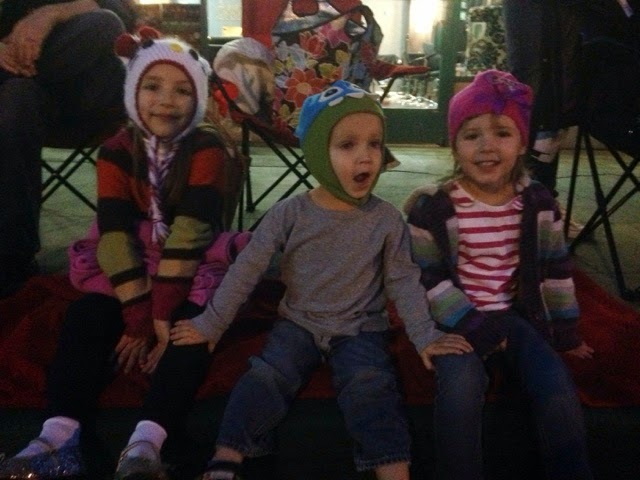 We came home and relaxed for the afternoon, then it was time for the Christmas Parade with some wonderful friends. The weather was so nice for a parade. 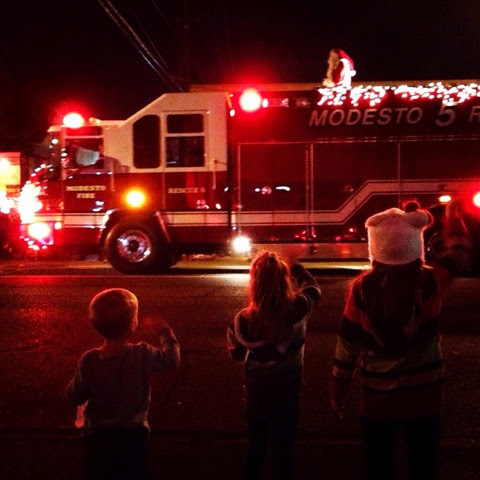 My favorite picture, all the kids waving to Santa on the firetruck! Sunday morning we went to church. Austin woke up in a great mood. We got to church and he wasn't thrilled with the idea of leaving his cow in the car. He lost it. That just put him in a bad mood for the rest of the day. 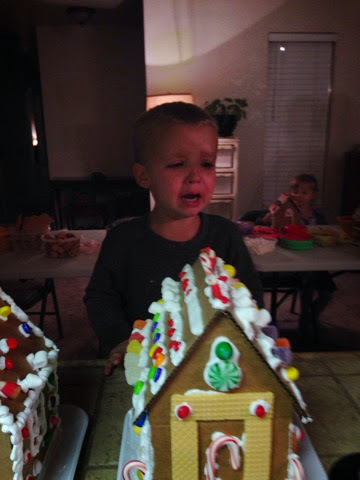 Thankfully, I rocked him to sleep and he took a good 2 hour nap before waking up to go make gingerbread house with the family. This girl was in her element decorating her house. 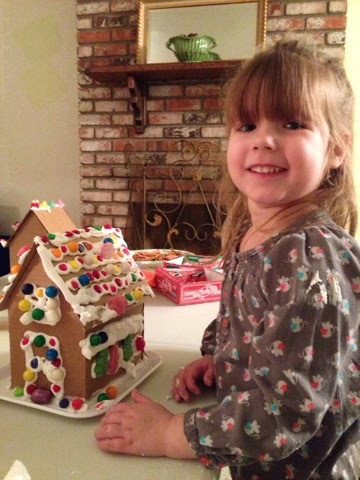 I helped pipe out the frosting but this girl was grabbing candies and decorating like a pro. Look at how proud she is! 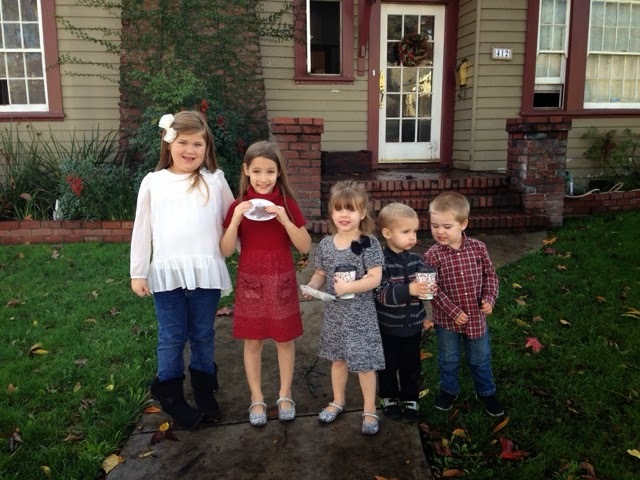 Lots of decorating and eating candies, sneaking them after Mom and Dad said no more. He wasn't too happy when we put his house on the counter. 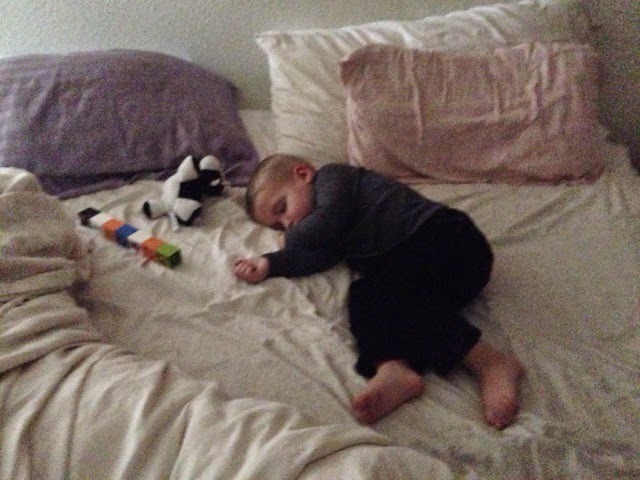 Poor guy, being two is rough. 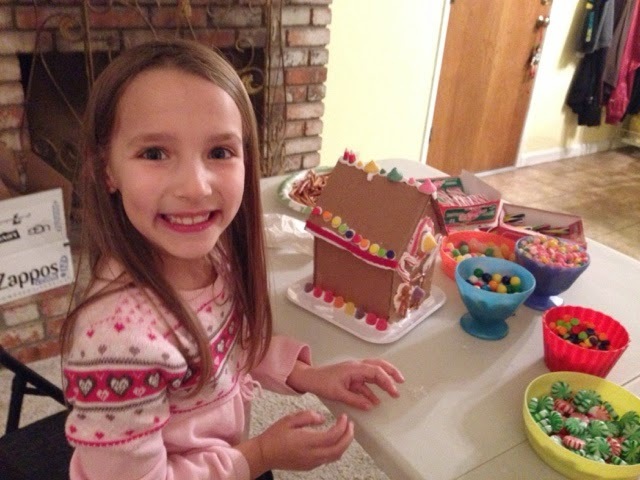 Gingerbread decorating and pizza was such a great way to end out our weekend.